Executive Living! Gorgeous Townhome In Prestigious Enclave Showcasing A Fantastic Fusion Of Open Concept & Formal Floor Plan. 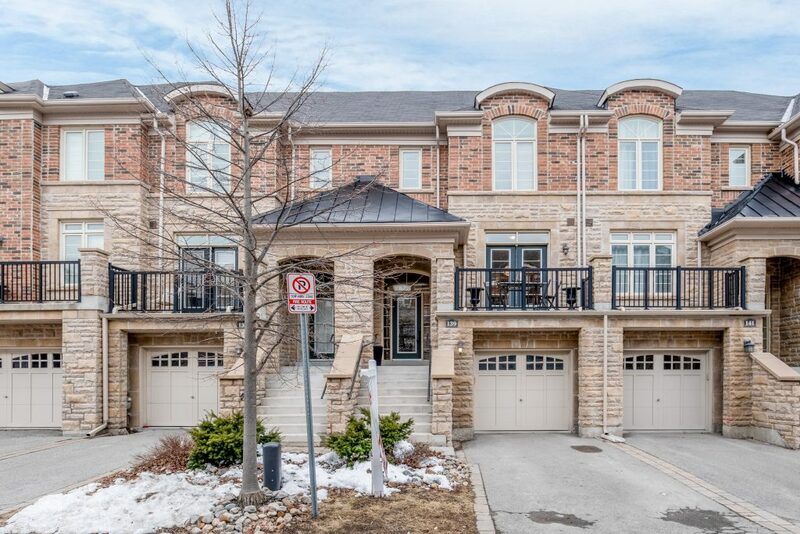 Featuring A Beautiful Kitchen With Granite Counters, Island & Breakfast Bar Overlooking Family Room With Gas Fireplace. Formal Dining Room With Coffered Ceiling, Gleaming Hardwood Floors & Pot Lights. Finished Lower Level Recreation Room/Media Room With Walk-Out To Composite Deck, Custom Built-Ins & Shed With Power. Surrounded By Sheppard’s Bush, Walking Trails, Only Steps To All Amenities & GO Station – Simply Stunning! Approximate Size: Per Builder's Plan 1750 Sq. Ft.